It’s time to confess something that seems to be very unpopular among most car enthusiasts… I absolutely love donks. 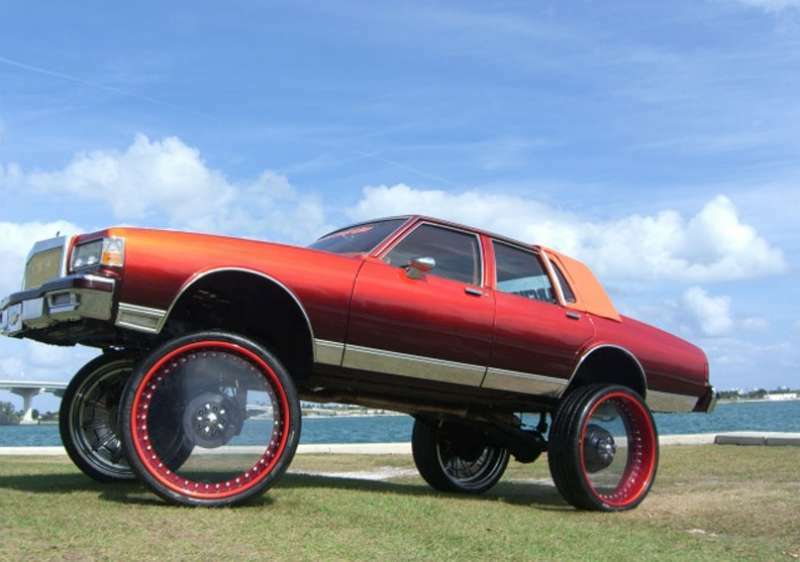 If you’re not familiar with the term, a donk is usually a large American sedan on very large wheels. The wheels are usually in the 24-30 inch range, although larger wheels have certainly been done. Why do people hate them? Well, there’s the obvious argument that it’s a purely cosmetic modification which hurts the functionality of the car. 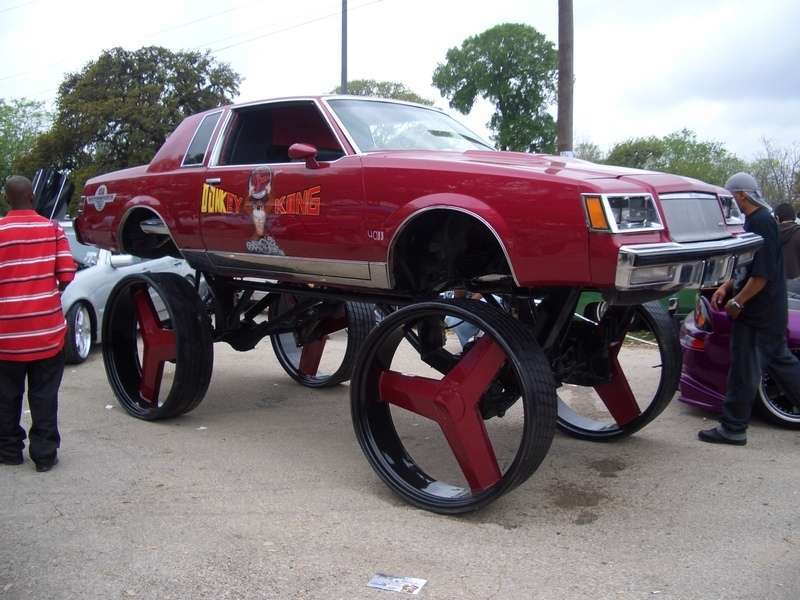 But that is hardly unique to the donk style. Almost any stanced car suffers from this as well with the lack of suspension travel and insane camber angles. There have been cosmetic-only trends as long as people have been modifying cars. Why does this one receive so much hate? 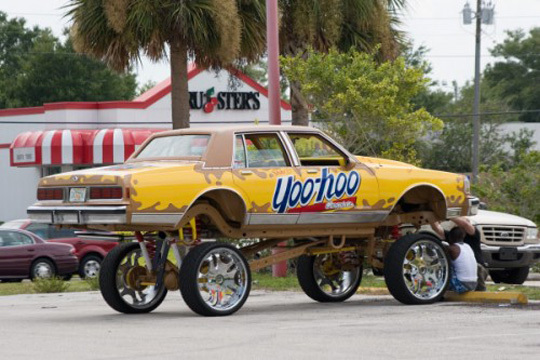 Maybe it’s because these cars are so over the top? A stanced Civic won’t catch the attention of most folks in traffic, but the car above would surely turn the heads of everyone who saw it. I’ve also read that there’s a racial aspect to the hate these cars receive, which I’m sure is the case for some people as sad as that is. So why do I like them so much? I would answer that with the question: Why wouldn’t I? I love modified cars, and these are often modified quite radically to still be able to drive with such large wheels. Of course paint and body are usually not ignored, often choosing fun paint schemes from various brands. I’ve also always had a soft spot for un-loved cars. Donks are often build from 70’s and 80’s American cars that did not represent a high watermark in our auto industry. I love that these cars end up being loved and modified instead of sent to the scrap heap with so many others. Of course my affection for these cars might also be geographical. This style originated in the South East where I grew up, so I saw these cars on the road before they were well known nationally. It seems that not only have these cars escaped the South East, but also made it to Japan as seen in a recent article on Speedhunters. What are your thoughts on these? Valid automotive subculture? People ruining perfectly good cars? Chime in!